Ms. Deborah Garcia-Gratacos is the President and founder of Your Home Now Mortgage, a division of DEVAL LLC. Ms. Garcia-Gratacos is responsible for the overall strategic direction and operating results of the company. Ms. Garcia-Gratacos is a licensed attorney with a professional and educational background in real estate and finance. Prior to founding DEVAL, Ms. García-Gratacos worked as a Real Estate Consultant for Arthur Andersen LLP Valuation Group in Vienna, Virginia. Ms. Garcia-Gratacos has a Master’ s of Business specializing in Real Estate from the University of Florida Warrington College of Business; a Juris Doctor from the University Of Florida Levin College of Law; a Dual Bachelor’s of Arts in Public Administration and Criminal Justice from the University of Central Florida. Ms. Garcia-Gratacos is also a Mortgage Loan Officer licensed in multiple states and is a Certified Residential Underwriter with the Mortgage Bankers Association. Ms. Garcia-Gratacos is on the local BB&T Springfield Local Advisory Board. Ms. Garcia-Gratacos, a native of the Commonwealth of Puerto Rico, is fluent in Spanish. 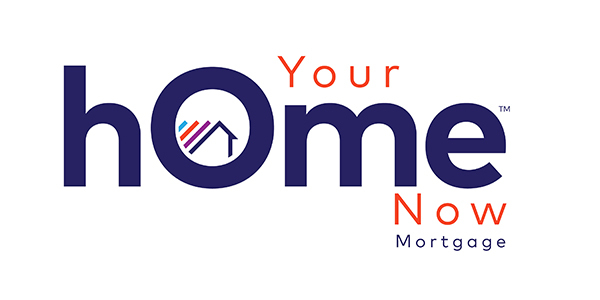 Mr. Edgar Garrido is the Chief Financial Officer for Your Home Now Mortgage, a division of DEVAL LLC and is based in DEVAL’s regional office in the Washington DC Metro Area. He is an accounting and business professional with over 10 years of experience in all aspects of accounting and financial management. Mr. Garrido is responsible for the company’s accounting operations, including the production of periodic financial reports, maintenance of an adequate system of accounting records, and a comprehensive set of controls and budgets designed to mitigate risk, enhance the accuracy of the company’s reported financial results, and ensure that reported results comply with generally accepted accounting principles or international financial reporting standards. Mr. Garrido has a Bachelor of Science Degree in Accounting from Strayer University. Mr. Garrido, a native of the Dominican Republic, is fluent in Spanish. Mr. John R. Holler is Your Home Now Mortgage, a division of DEVAL LLC, Senior Vice President of Loan Servicing & Lending based in Irving, Texas. Mr. Holler has vast experience in management, loan servicing, lending and originations, due diligence, asset management, and technology. Mr. Holler brings over 30 years of private sector experience in management of servicing and origination projects valued over $230 Billion which include loan servicing, mortgage lending and originations, asset management, due diligence, technology, and reporting. Mr. John Holler attended the University of Illinois and Lincoln Land Community College and is a Certified Residential Underwriter with the Mortgage Bankers Association. Ms. Lusby A. Sarmiento is the Senior Vice President of Regulatory Compliance for Your Home Now Mortgage, a division of DEVAL LLC, and a licensed attorney with a sound professional and educational background in management, finance, banking, regulatory compliance and law. Ms. Sarmiento is based in DEVAL’s regional office in the Washington DC Metro Area. Ms. Sarmiento holds a Juris Doctor from the Interamerican University of Puerto Rico School of Law and a Bachelors of Arts Degree in Criminal Investigation from the Interamerican University of Puerto Rico, Arecibo Campus. Ms. Sarmiento is licensed to practiced law and is an Authorized Public Notary (“Notaria Pública”) in the Commonwealth of Puerto Rico. She is also a member of the Puerto Rico Bar Association and a Certified Residential Underwriter with the Mortgage Bankers Association. Ms. Sarmiento, a native of the Commonwealth of Puerto Rico, is fluent in Spanish.